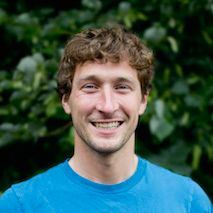 Brint Markle is the Co-Founder and CEO of Mountain Hub. Prior to Mountain Hub, Brint completed his MBA at MIT Sloan where he was an Anderson Fellow. Before MIT, Brint worked at Bain & Company across the US and Europe on a variety of consulting and non-profit projects. Brint formerly founded Rival Magazine, the first intercollegiate publication between Duke & UNC. Brint is an avid outdoorsman and ski mountaineer with experience spanning the Himalaya, Switzerland, Canada, South America and the US. He is Level III certified by the American Avalanche Institute and graduated from Duke University where he studied Public Policy & Economics.